It is almost time to leave Chile, the longest and narrow country in the world. Barely a strip of land, with tall mountains rising straight from the Pacific ocean all the way to the sky. And long glacial valleys, green and fertile at the base, crowned by stark-naked mountains, like monuments of rainbow-painted rocks. 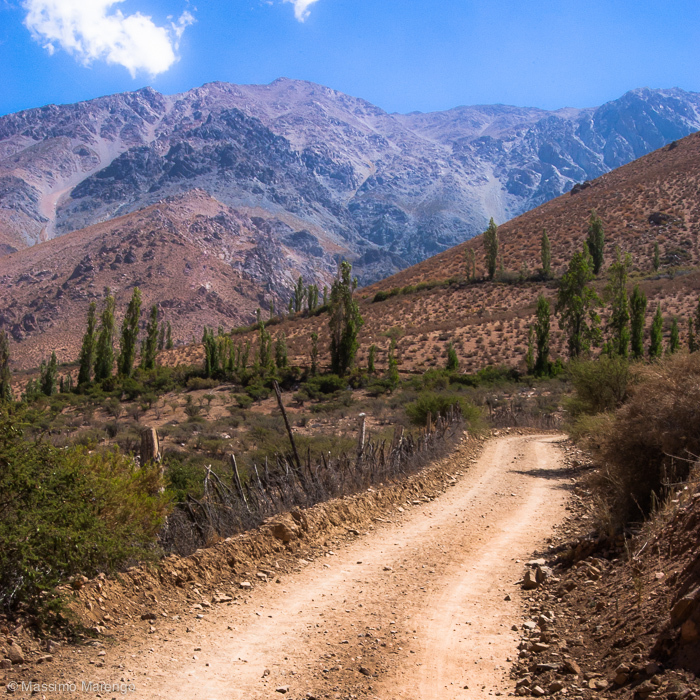 The Elqui valley is not just for UFO, telescopes and mysterious magnetic energy. It is in fact one of the best vineyards in Chile, famous for pisco, a special kind of brandy made with the local grapes. Pisco was developed in this region of Chile and Peru by the first spanish colons in the XVI century, as a substitute for orujo, a pomace brandy that had to be imported from Spain. 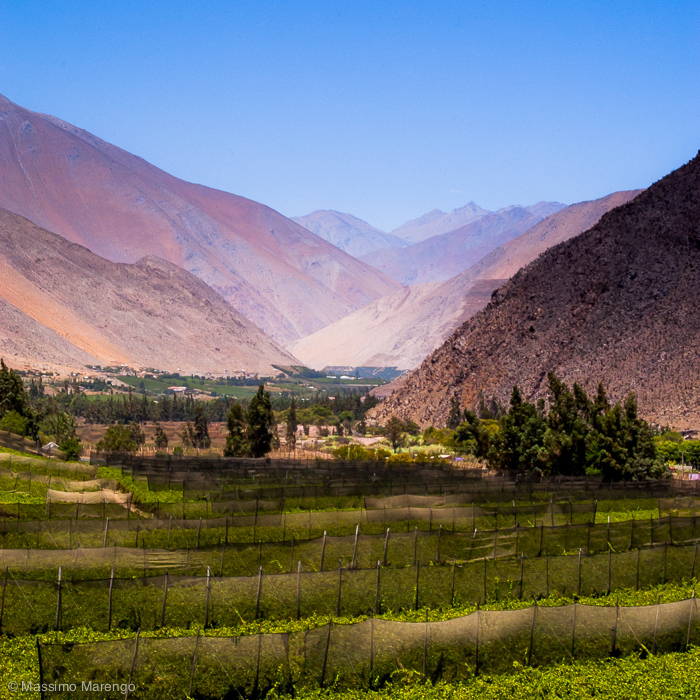 With the foundation of the port city of La Serena at the head of the Elqui valley, the local pisco became world famous. Pisco is now Chile's national drink. As you can see in the photo above, the secret for these grapes is the very fertile bottom of the valley, surrounded by semi-desertic mountains in a hot dry climate. Exactly what you need to grow rich grapes with a high sugar content, ideal to produce a high grade alcohol brandy like pisco. The whole valley is terraced for grape production, and the stark contrast between the green vines and the red and blue mountains is quite a spectacle. This is a drive worth taking. And driving is exactly what I did in the last day of my 2006 trip to Chile. Despite its violent past during Pinochet's dictatorship, Chile is now a very safe country, at least outside large degraded urban areas (which are dangerous almost everywhere in the world). Differently than in a certain latin american country I am familiar with, it always felt safe driving alone even in remote areas (see small photo on the left). Mountain's people tend to be nice; they like to hear your stories and tell their tales. I had fun taking hitchhiker on board during my drives, and listen to their stories. Like the one of the two local kids working in the city that were going back to their mountain's village to visit their grandmother. Or the two american girls returning to La Serena after spending some time in one of the new age communes in the valley. Chile's progress since the return of the democracy has been quite remarkable. January 2006, the time of my last visit, was at the height of the presidential elections that were ultimately won by Michelle Bachelet. A physician, she is a separated mother of three that describes herself as agnostic. In a deeply catholic country that only allowed divorce in 2004 this makes her election even more remarkable. Bachelet didn't come to politics by chance. The daughter of a loyalist air-force general under the Allende government, she was imprisoned and tortured, together with her mother, in the infamous "Quatro Alamos" detention center by Pinochet secret police (her father was also arrested and died under torture). After years of exile in Australia and East Germany, she was allowed to return to Chile where she completed her medicine studies. For "political reasons" she was however not allowed to practice as a doctor, and she ended up working in a NGO helping the children of the desaparecidos. That ultimately lead to her work as an assistant to the deputy Minister of Health and then of the minister of Defense. In 2000, virtually unknown, she was named by President Lagos Minister of Heath, with the task to eliminate, within 100 days, the long waiting lists in the saturated chilean hospital. She succeeded to reduce them by "only" 90%, which caused her to offer her resignations (promptly rejected). Among her other acts as Health Minister she authorized the distribution of the morning-after pill to victim of sexual abuse, an extremely controversial decision in a country where abortion is still illegal under any circumstances (not even to save the heath of the mother). In 2002 she became the Defense Minister, one of the first women in the world to held that post. When Lagos retired she was asked to run for the presidency for the Socialist party, and won by 53.5% at the second turn. Her presidency was so popular that at the end of her mandate in 2010 she had 85% approval ratings. After working as head of the United Nation's Entity for Gender Equality and the Empowerment of Women, she has been elected president for a second term in June 2013, with 73% of the votes. 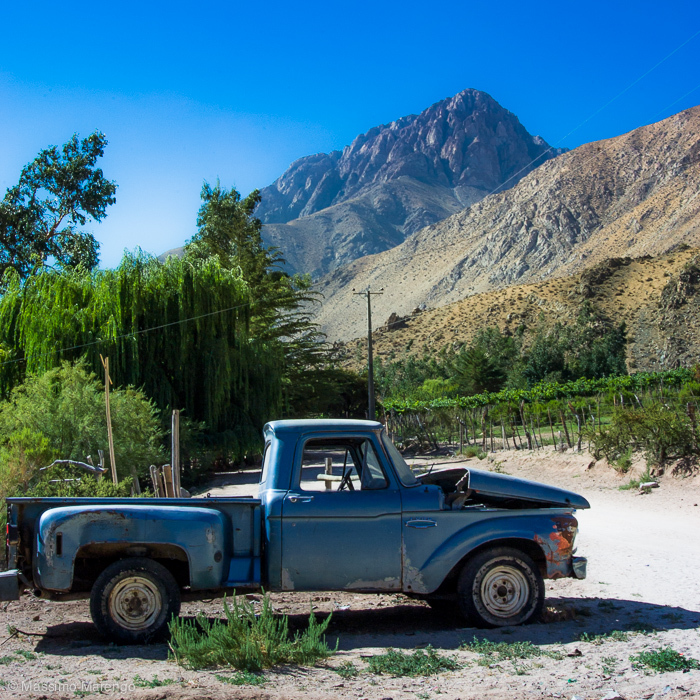 The electoral campaign was in full swing as I was driving through Vicuña, the main town in the Elqui valley. The streets were plastered with large posters of Bachelet next to the image of another woman, Gabriela Mistral. Vicuña's most illustrious daughter, Gabriela Mistral is one of the two chilean to win the Nobel prize for Literature, together with Pablo Neruda. Chile is a land of poets, and of formidable women.